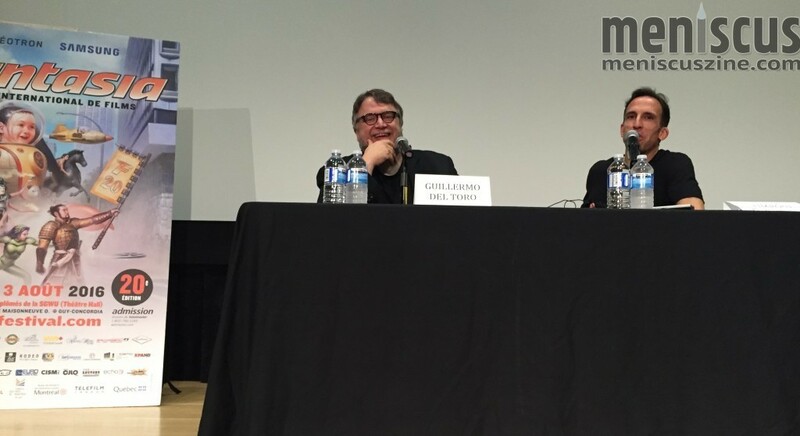 ​​Director ​Guillermo del Toro​ (“Pan’s Labyrinth,” “Pacific Rim”) arrived July 15 at the Fantasia International Film Festival in Montreal to a packed schedule. He introduced the documentary “Creature Designers: The Frankenstein Complex,” delivered a sold-out masterclass, and accept the ​festival’s Cheval Noir Award. Some of the previous recipients of this prestigious award have included Andrzej Zulawski, Ken Russell and Tobe Hooper. The director also appeared at a press conference where he spoke of the importance of festivals like Fantasia. “What I love about our genre is that we truly love it. We are not here because it’s prestigious or chic. We’re not here to be seen. We’re not here because it gives us cache. We’re here because we’re f***ing nuts,” del Toro said to much laughter. The Fantasia International Film Festival runs through Aug. 3. For more information, go to fantasiafestival.com.